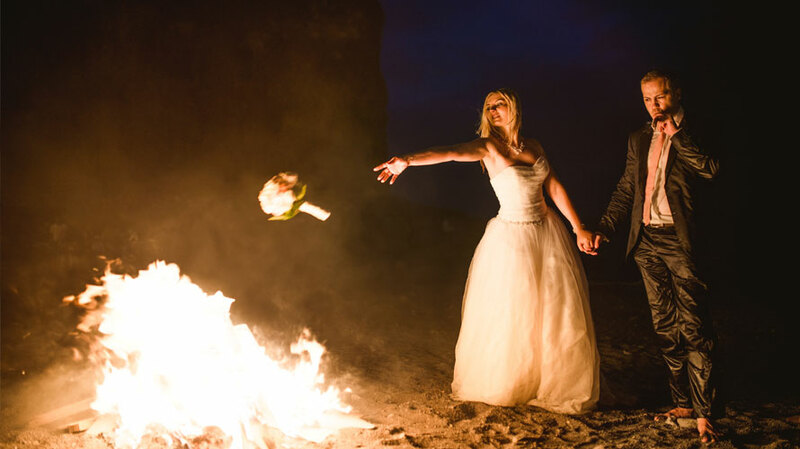 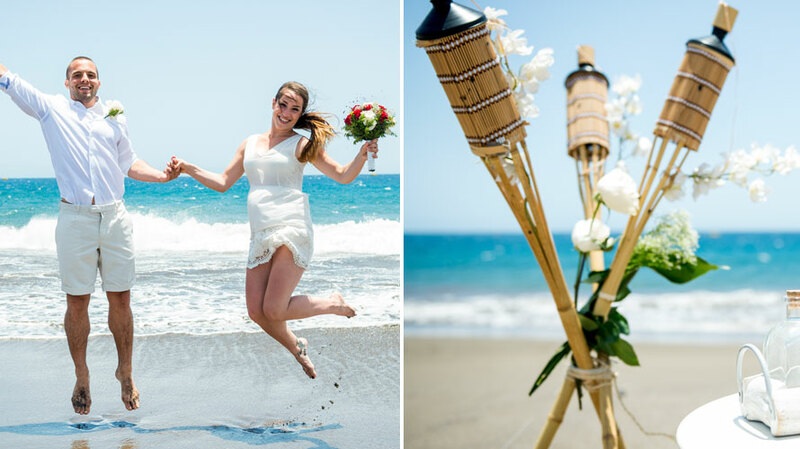 Wedding photography is the latest trend amongst couples and it’s even better when your wedding pictures are taken on one of Tenerife’s amazing sandy beaches or unique volcanic landscapes. 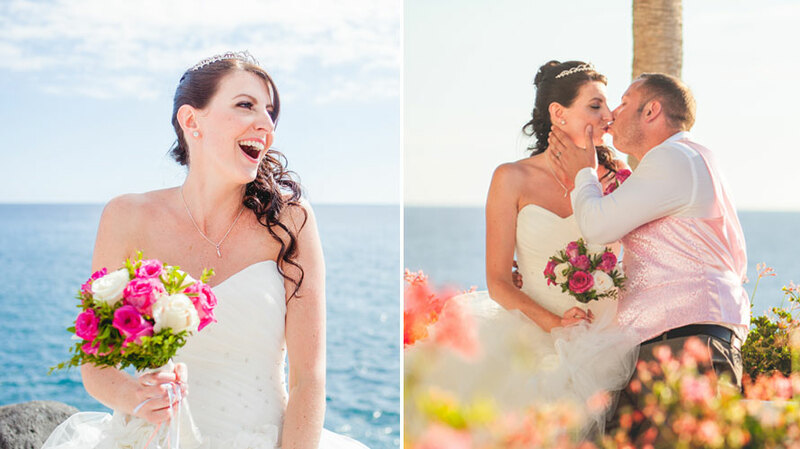 We know just the right locations and Tenerife’s best wedding photographers and videographers so as to make sure that you receive, your photographs or videos in high resolution in the fastest way possible. 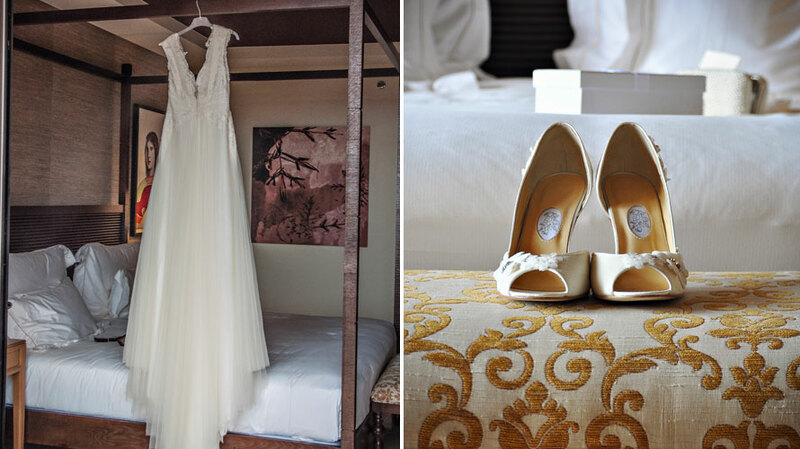 Sharing them or decorating your house with these special moments will mean that memories of your wedding day will last a lifetime. 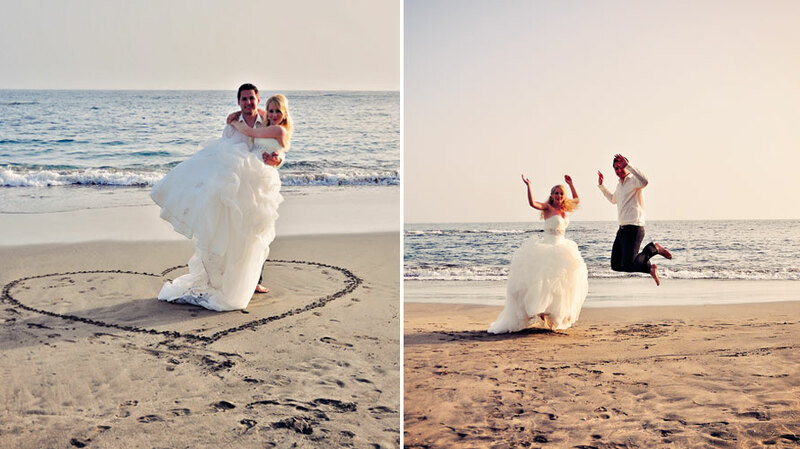 Recording your wedding is another great way of capturing those precious memories of your special day. 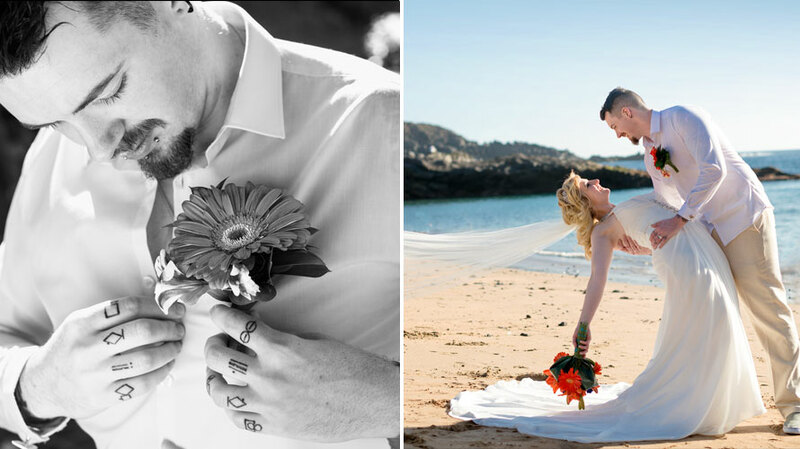 We offer a comprehensive wedding video service that takes the approach to filming weddings in a natural and unobtrusive style, aiming to capture the most important moments that you will remember forever. 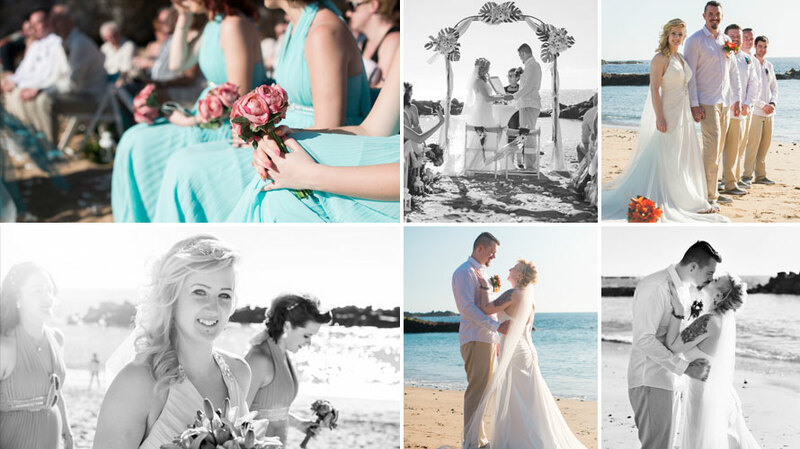 Why not take a look at some of our wedding videos. 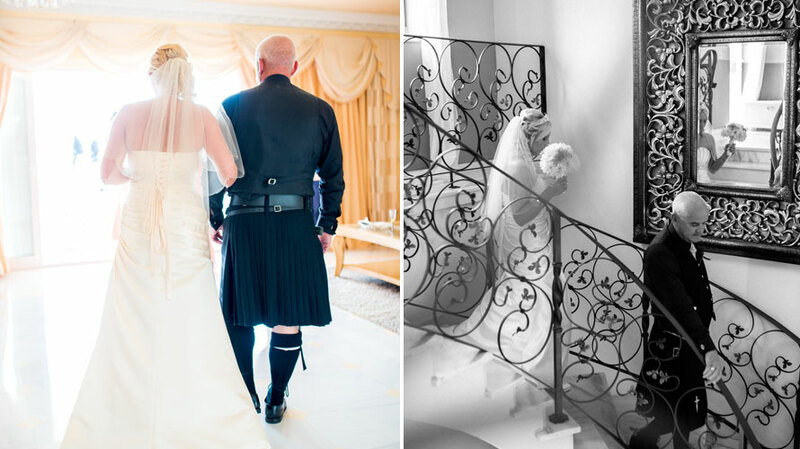 Our aim is to make sure you receive a final product which is of the highest standard. 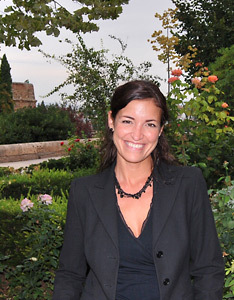 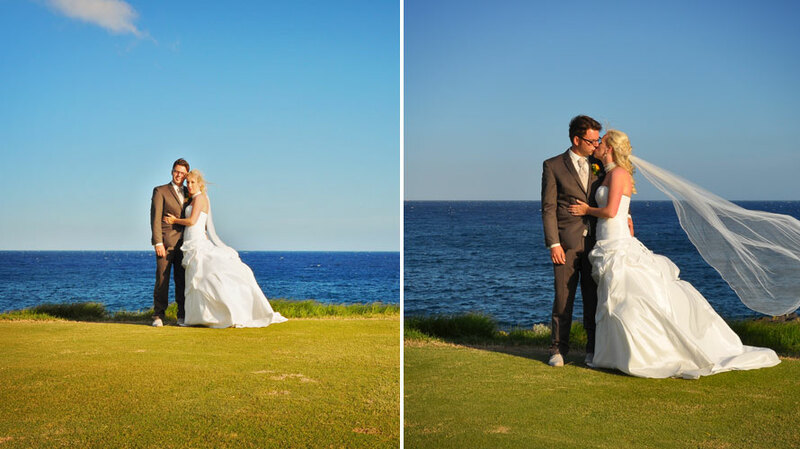 Therefore, we try to use the best and latest equipment for both photography and video shoots. 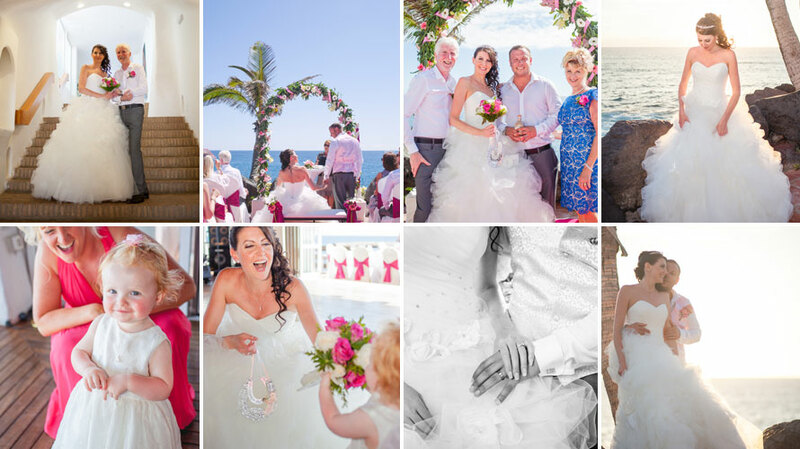 Why not browse through the following photo galleries to see some of our magnificent wedding photographs taken in Tenerife and also some of the beautiful couples we have had the utmost pleasure to work with on their special day. 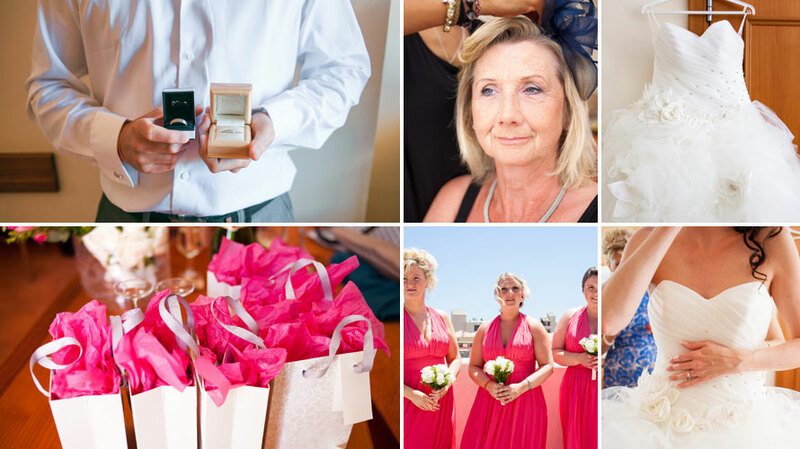 There is something charming and memorable about a wedding photo album that cannot be recreated through other mediums. 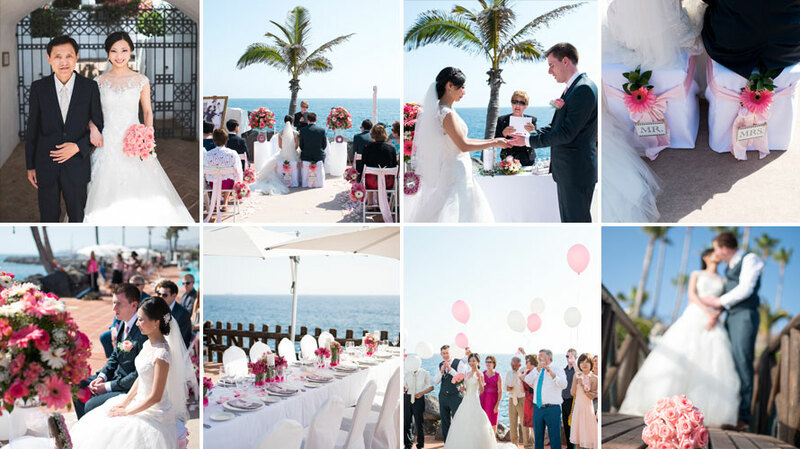 For example, sitting with your loved ones whilst flipping through pages and pages of beautifully taken photos, running your fingers over the pages of our carefully designed album and when you are finished, there comes that special moment when you pass it on to someone else to enjoy. 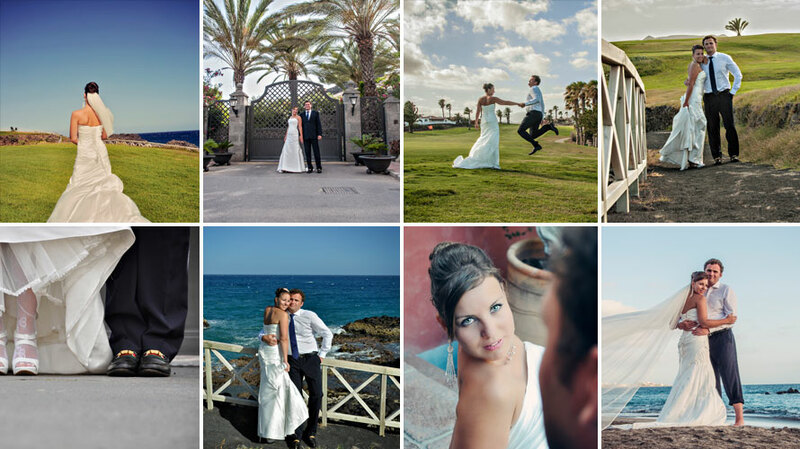 Why not take a look at a few examples of photo albums that we have created for some of our clientes here in Tenerife, Canary Islands. 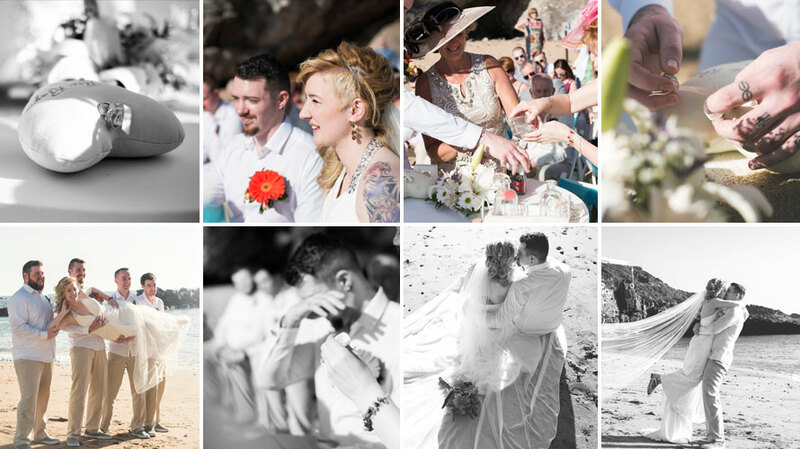 Please click on the links below to view albums. 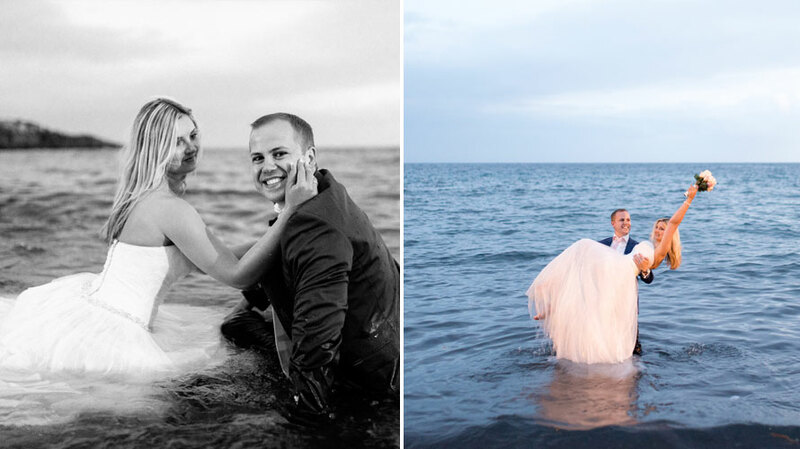 An after-wedding photo shoot is a fun experience! 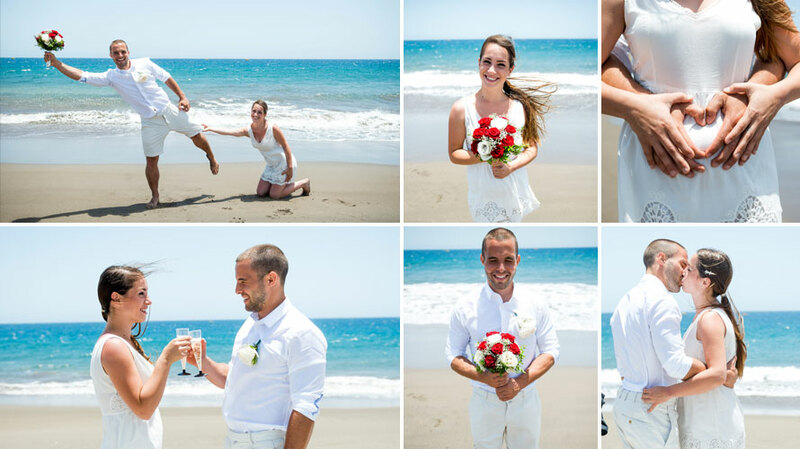 No wonder many couples take the chance to hire a professional photographer in Tenerife to accompany them during these special moments and create a little masterpiece highlighting the love for each other in well selected sceneries. 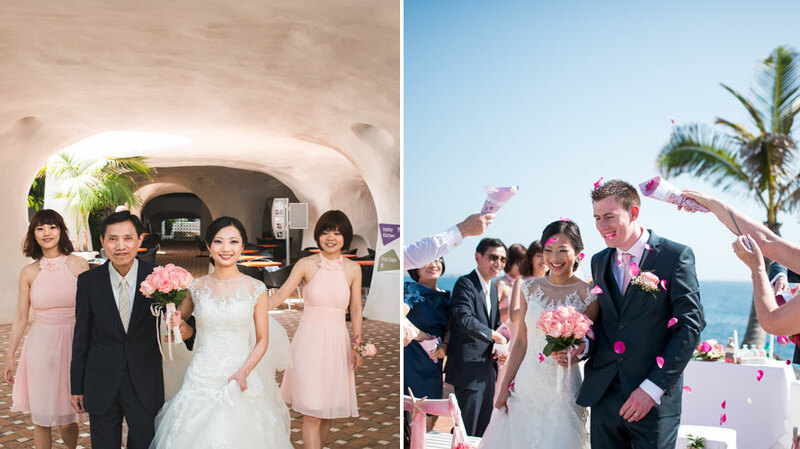 A unique chance and wonderful memory! 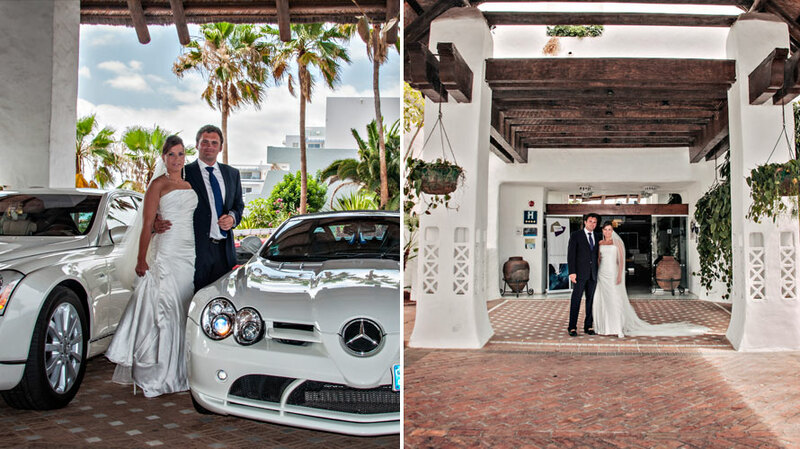 Why not combine your wedding, honeymoon or vacation in Tenerife with an after wedding photo shoot? 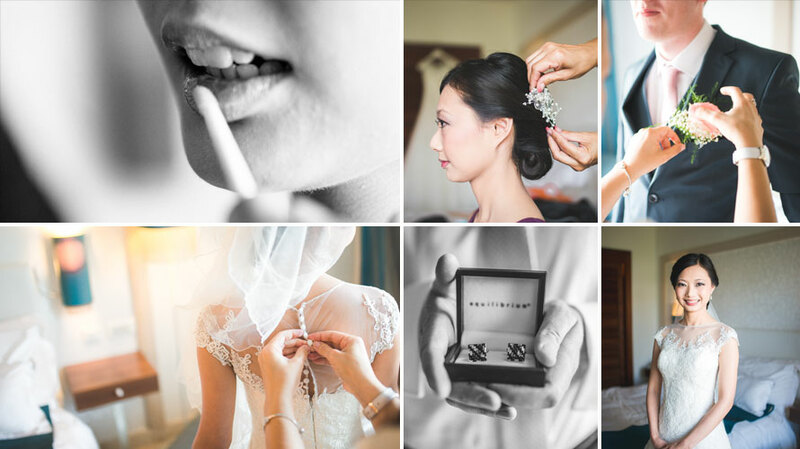 There are plenty of possibilities – just contact us for more information or check out our previous wedding photography! 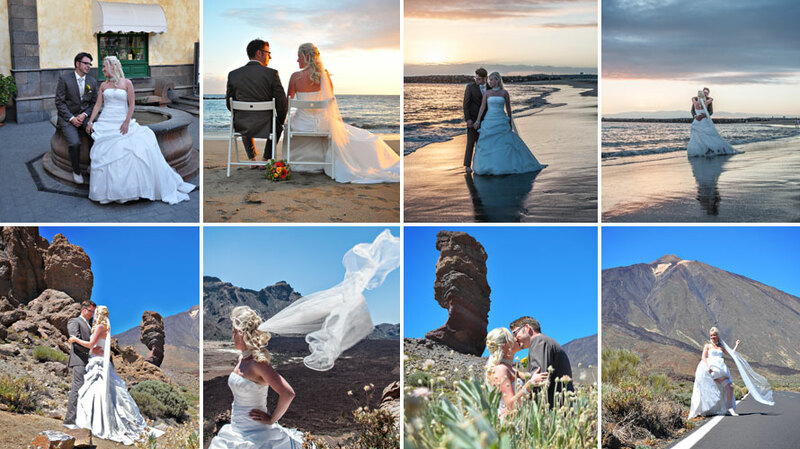 The choices for your wedding photography seems endless: black or golden sandy beaches, typical Canarian pine tree forests, amazing volcanic landscapes, unique rock formations, impressive cliff views, versatile flora and fauna florishing under the bright golden sun or a romantic sunset. 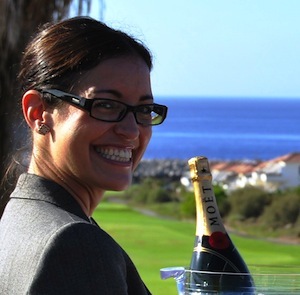 The island of Tenerife has much more to offer but we cannot forget its strong cultural presence and friendly people. 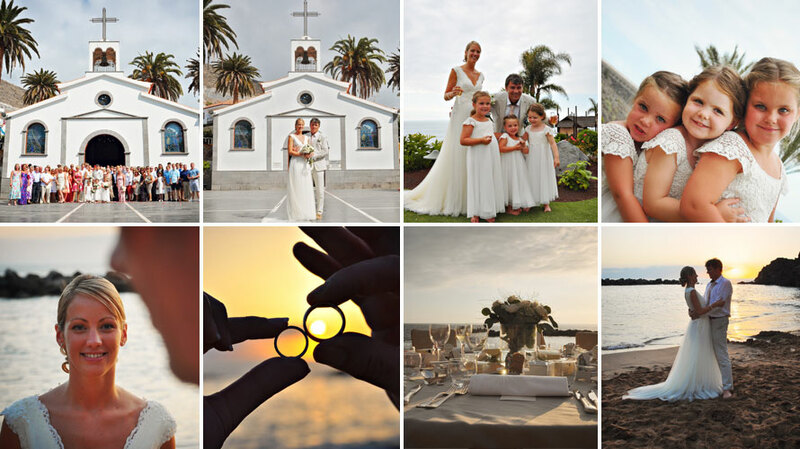 With My Perfect Wedding at your side you can be sure your wedding pictures will be taken in Tenerife’s most enchanting spots at exactly the right time of day with the perfect light conditions. 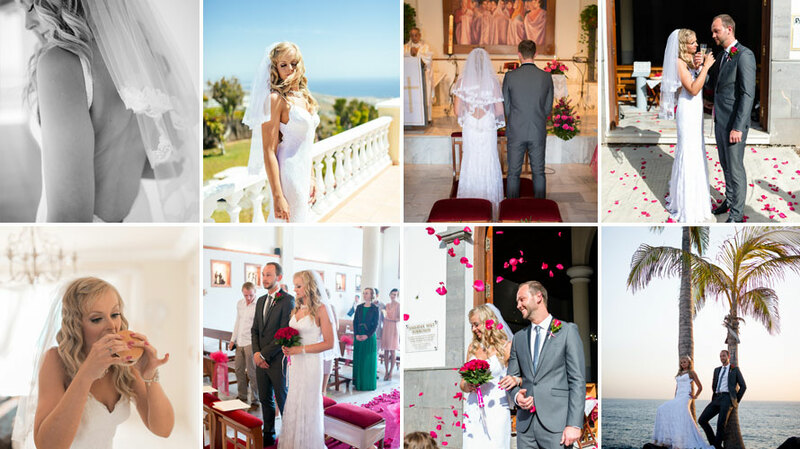 Why not browse through some of our photo galleries below showing amazing after wedding photo shoots that we have undertaken.